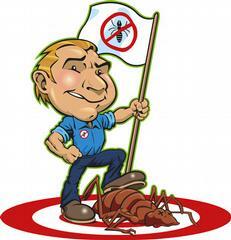 Venning Pest Control has serviced our home and business for almost two decades. If you are seeking someone who does what they say, this is the pest control company you want. By the way, our dogs and cats give Keith a five “Woof”/”Meow” rating! Keith has provided pest control service at my residence for over 15 years. His professionalism and expertise is undeniably first rate. He always goes above and beyond what is required of him to offer conscientious and quality service. I would recommend him to anyone. I have been a customer of Venning Pest Control for over ten years. When I moved, they moved with me. Venning offers flexible contracts, great prices, and most importantly a safe and effective product. They are a reliable company that is a pleasure to do business with. I’ve been using Venning Pest Control’s service for almost two decades and am completely satisfied. He’s prompt, courteous and extremely reliable! He always goes the extra mile to make sure my home is completely bug free! I highly recommend him.